Mike Ditka is a former American football player, coach, and television commentator. 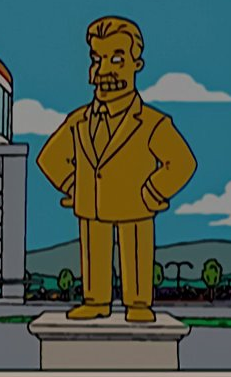 When the Duff Beer Krusty Burger Buzz Cola Costington's Department Store Kwik-E-Mart Stupid Flanders Park was built in Springfield, a solid gold statue of Mike Ditka with diamond eyes was also built next to it. Modified on April 5, 2018, at 09:27.